Flight QZ8501 was travelling from Surabaya, Indonesia to Singapore when it crashed into the Java Sea on December 28, 2014, killing all 162 passengers and seven crew on board. 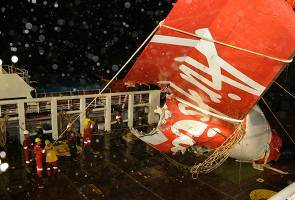 KUALA LUMPUR: Ten families are suing AirAsia and Airbus over an aircraft malfunction following the crash of flight QZ8501 in December last year. The lawsuit, filed in the US state of Illinois, also names Honeywell International, Motorola Inc and other suppliers along with Airbus as defendants. Wisner Law Firm principal, Floyd Wisner said although initial reports found the weather a factor, he said the aircraft suffered a malfunction of the fly-by-wire system. “Airbus and its supplier manufacturers are aware of problems that cause the fly-by-wire protection to malfunction, yet they appear to have done nothing about it, despite many incidents,” Wisner said in a statement. Wisner who has been involved in every major air disaster for the past two decades including many Airbus incidents, said problems with Airbus have spanned many years. He also accused AirAsia of not handling the claims of the passengers pursuant to international standards. “Despite the promises of AirAsia’s owner, Tony Fernandes, that the victims’ families would be treated fairly, AirAsia is proving that it is a low fare, low compensation airline,” he was quoted. Wisner said the lawsuit represents ten families so far but expects others to join the case. “There are still many families in Indonesia and a few other countries that have spoken to us, and we are willing to talk to any other families that want to join the legal case,” he said.